Really looking to turbocharge my blazer.. if your going to criticize my prerogative then dont bother replying. Right now im all stock with the exception of the K&N intake i put in. 4.3L V6 Vortec 4WD Utility LS Model. Looking to spend no more than 2.5k on parts and 4k all together. Any suggestions on brands and other possibilities? I know nothing about aftermarket installs and am not claiming any knowledge.. if i ask a stupid question.. dont give me a stupid answer. Im in new jersey. hopefully someone will actually live close for some help. There's a bit of dramatics in this thread but it's for sale and will give you as bit of an idea of actual cost to do a turbo setup!. Can it be done cheaper? Probably but there's allot that goes into it. New Jersey emission ***** will possibly have a hayday with your tuck too. Honestly I just want the thing to be super quick. its got 110k Miles on it.. i got it at 90k. Its running great.. just went from the stock intake with a k&n Filter to a 3" Adapter with a 60 Degree Tube with a Spectre Cone. Cold Air Intake kit would have cost me 290 Bucks at AAP.. Instead got all the same stuff with a smaller cone filter and it cost me 42$. On the HWY i used to struggle to get to 60/70mph.. Now the truck gets me to 80 without sweating... sounds pretty decent too. Went from 11mpg city to around 16mpg. And to add on your comment for the s10 turbo.. he sold the turbo and most of the other parts..
By the time your done the cost may be prohibitive. It will be the new computor and tunning which will cost you. cant just drop a turbo in it and go. Stock ecm may be able to get flashed to handle it but possibly not. A good tune can cost up to and over 5 or 6 hundred dollars. These guys dont do it for free. and as far as quick goes, turbos arent generally known for quick, they are more of a mid range top end builder. TURBO LAG = not quick. 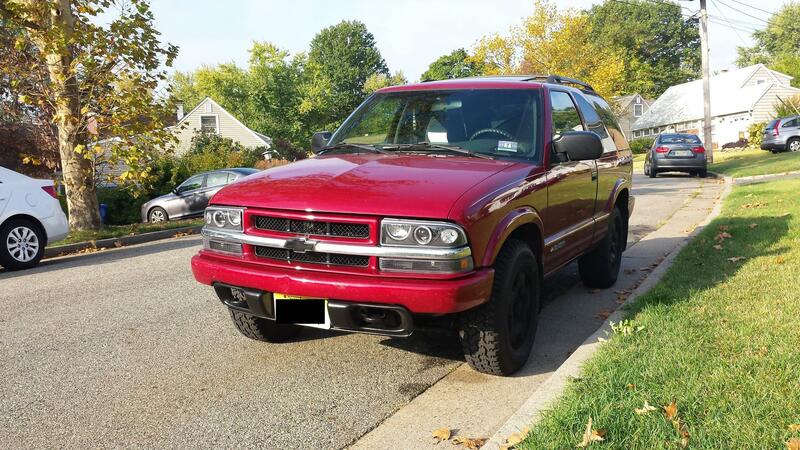 Quick Reply: Turbocharging an 02 blazer ls?